EP offer easy connector interfaces for whatever your controller need, this product can connect to the decoder for the EP-Reciever. Expand your controller options with our Epic interface. EP offer easy connector interfaces for whatever your controller need, this product can connect to the decoder to your pc for the EP-Transmitter. Expand your controller options with our Epic interface. devices over a network and the Internet. No more juggling multiple remote. No more fumbling for a light switch in the dark, and no more spending on expensive home lighting control hardware…Epic Sky Technology allows you to operate all your home lighting technology from a ipad mini. DESIGNED TO CONTROL YOUR LED LIGHTING SYSTEM WITH MUSIC RS232 Music controller. Effortlessley your audio control system with your LED lighting system. The EP-DIST-01 is designed for easy and clean installation and lightens up the load reducing low voltage wire burns and or shorts. Infrared sensor to control lighting. up to 40 feet. 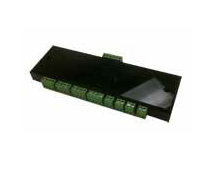 No power supply or connecting block is required for use. With an IR modulation frequency range of 30 – 500 kHz, and transmitting up 40 feet, the EP-IRB is the obvious solution to any IR signal strength problem. The GC-BL2 employs a standard 3.5mm stereo plug and 6ft cable for easy connection and installation. learned codes can then be pasted into any Windows application to facilitate quick database and/or spreadsheet creation and updating. The stored codes can be used to control and automate any device that accepts infrared control signals, from any networked computer, and over the Internet. The EP-IRL power is supplied by the RTS line of the serial port and requires no external power supply.